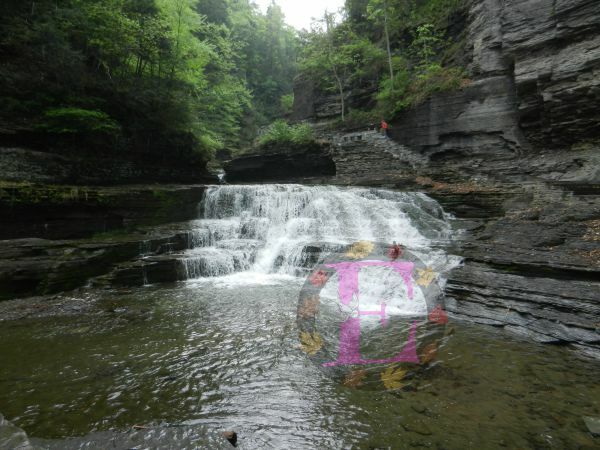 "Robert H. Treman State Park", Ithaca, New York. 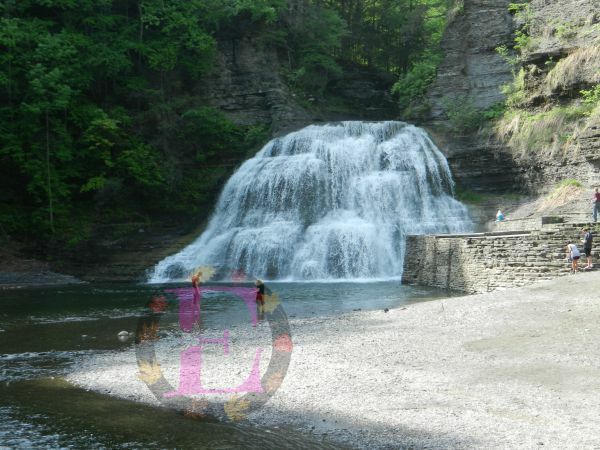 Enfield Glen is part of the state park, winding trails follow the gorge, where you have the chance to see 12 waterfalls. If you look at the 1st shot you can see some one in a red shirt ...that is the hiking trail. We ran into rain throughout the whole hike making it very tough not to slip ... those rock trails are not easy to ski on. Hello Beth. This looks like an awesome place to hike. The waterfalls are pretty. Great post. Happy Thursday, enjoy your weekend ahead! Beautiful!! The video adds realism. What a name! Lucifer Falls? Is it supposed to be foreboding? Looks like it could be treacherous! Wonderful post! I'd love to go there! Great video! Great post. I needed the song of the falls today. Thank you. They are sure beautiful, Beth!